CLOTHING. Robert Hall, American Lady Corsets, Bonds and more. 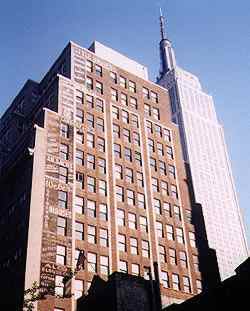 There are at least a dozen advertisements painted on the side of this building in the garment district in the shadow of the Empire State Building. How many of these businesses are still extant? Sachs? Weber’s? They’re memorialized as long as this building still stands. Hard to read it now, but this giant ad off Eighth Avenue advertised the Robert Hall clothing chain. 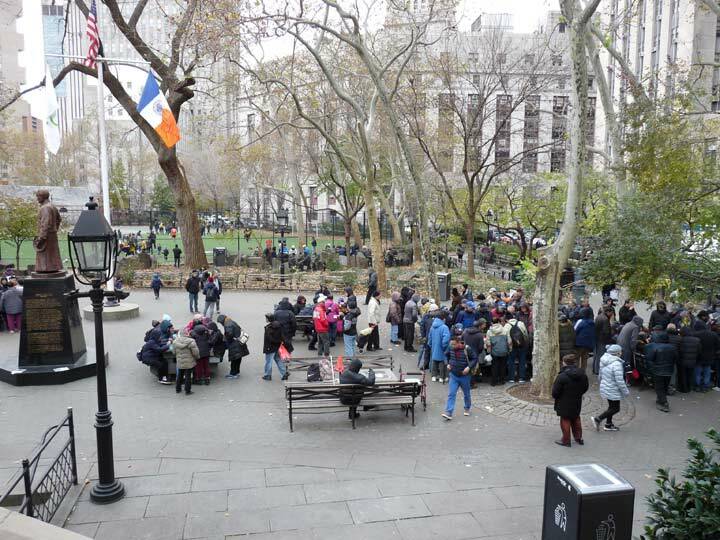 There used to be dozens of them scattered throughout the city; when I was a kid, my mother was able to find affordable and durable coats for me in the Bay Ridge branch. Another ad for a garage was painted over the Robert Hall ad; both fade into oblivion together. 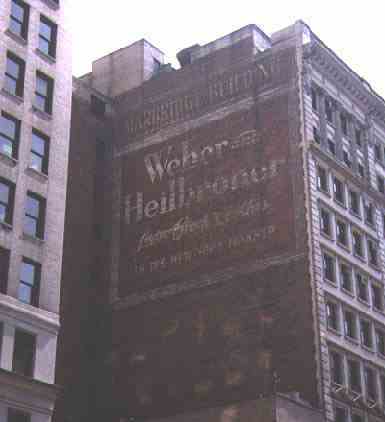 Weber & Heilbroner advertised on this exposed wall on the Marbridge Building on Sixth Avenue in the mid-30s. Weber & Heilbroner were in business till the 50s or 60s. Mucho apologies for the bad scan here! 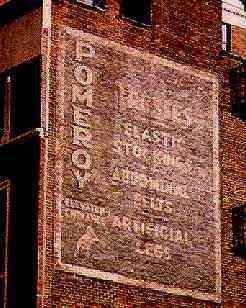 I had hoped to go back and get a proper photograph of The Bedford Company’s American Lady Corsets ad on Broadway in Bushwick, Brooklyn, but by the time I returned to the scene early in 1999, this ad had been painted over. I shot this out the front of a moving J train and used several Photoshop tricks to get it to be legible. Since women had stopped wearing corsets, as a rule, by 1920, this ad was there for 75 years or more. Everything you would need after you climbed the four flights to get to the store! 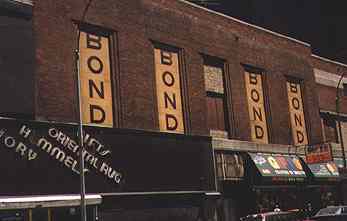 Until quite recently, the Bonds name maintained a giant presence in Times Square. Though the clothes store left quite a few years ago, the giants Bonds name remained on the storefront. It was put to many uses, most notably a concert hall (I saw The Clash there in 1981). In 1996, though, the Virgin megastore took over the space. Bonds still had these smaller ads on a side street in 1998 to remind us it was once there. 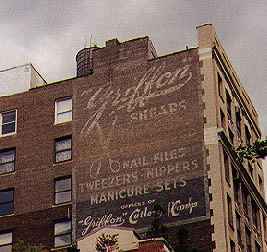 Griffon Shears, nail files, tweezers, nippers, manicure sets, 7th Avenue and 20th Street. Since covered by a new building.